Standing out above the competition in today’s job market is critical. 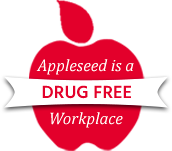 Our job here at Appleseed Personnel is to help you find a great job. We know what businesses are looking for and what works in a competitive job market. Appleseed has over 32 years of experience matching the right people with the right jobs, and we are good at what we do. So here are a few pointers to help you in your job search. Make sure you represent yourself with a good resume. Typos stand out in a resume, don’t have any. Keep your cover letter short and to the point. You have one chance at getting the hiring manager to want to look at your resume, use it wisely.